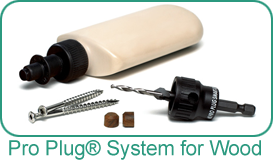 Holbrook carries complimentary fasteners with the proper tool for installing them. 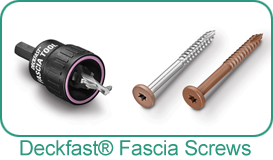 The right tool and fastener for the job makes for a happy, productive and cost effective solution for the installer. 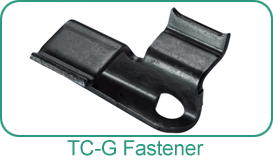 The Mantis clip for grooved decking is the easiest clip on the market to install while offering superior holding power. Our 30 year limited warranty against loose deck boards proves we stand behind our products. 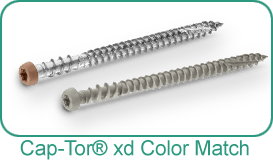 Best performing clip on the market – lateral movement and uplift. Easiest clip to install – Eliminator RCS™ pneumatic tool with E Z-Slide attachment. Custom Fit – Four profiles to choose from insures a cling fit to the deck board. Approval letters from decking manufacturers. 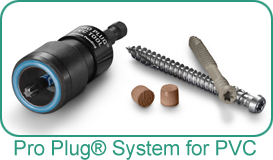 Our revolutionary Eliminator RCS™ pneumatic installation tool utilizes Pneumatic Reversible Fasteners and can help you install hidden deck fasteners up to 80% faster than conventional methods while providing the same holding power as our standard hand drive screws. The Tiger Claw TC-G clip system has been specifically designed to work in 5/4” decking boards. TC-G works in pre-grooved decking planks or non-grooved decking planks using our TC-150 slot cutter. The TC-G is made of 304 grade stainless steel and is approved for use in saltwater applications and ACQ or chemically treated lumber for long-term performance. The clip’s sharp prongs embed into the upper portion of the groove for strong holding power. 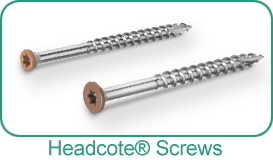 The stainless steel screw ensures a lasting connection between decking board and joist. Spacer tabs on the clip automatically gap the decking 3/16” for a consistent look The TC-G reduces wood splitting, wood rot and board cupping. Comes with a 25 year warranty. "... I purchased this product because it had the most realistic look and the ease of installation. The panels are light weight and can be easily cut to size. I've installed cultured stone many times and GenStone is by far is much easier to use. I would recommend this product to anyone looking to install cultured stone."